Since 1964 Custom Electronics has successfully designed and manufactured the highest quality custom reconstituted mica paper capacitors available. Our capacitors (>15,000 designs) are used in many of the most demanding applications imaginable. Historically, every one of our capacitor designs was tailor-made to meet a specific customer’s needs. Custom designs are available as well. Click here to learn more. At Custom, we use “Grade A” mica paper in our capacitors because it is an excellent dielectric. A dielectric is a material that does not conduct electricity, but one that can sustain an electric field in high-voltage capacitors. Mica paper consists of flexible, continuous and uniform layers of mica that are reconstituted or reformed into paper-like electrical insulating material composed of small, thin overlapping platelets. Custom’s mica paper passes the most intensive series of quality checks in the industry. 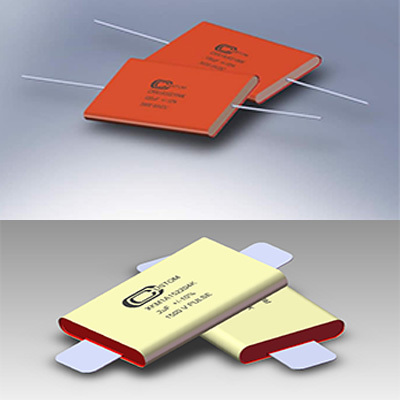 The result is high-voltage reconstituted mica paper capacitors that are used by leading high-tech companies for their space-age radar, missile, satellite, ignition, detonation, cryogenic, transmission, laser, medical and oil-and-gas exploration systems.